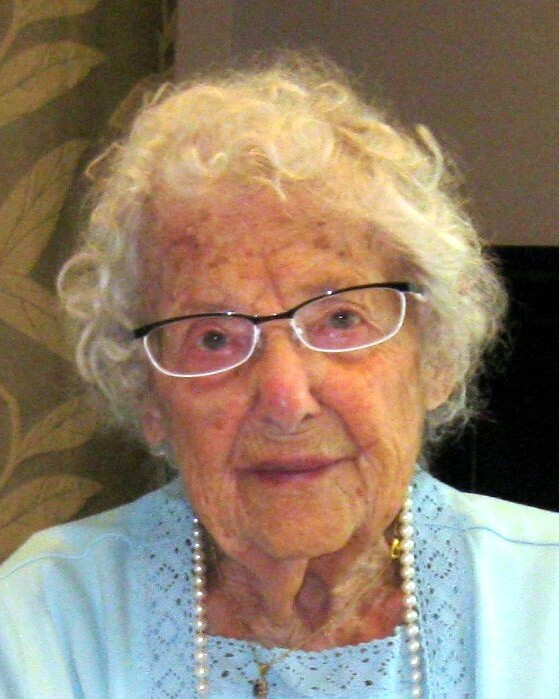 Eleanore M. Simon passed away on March 24, 2019 at the age of 107 in the loving presence of her son and daughter-in-law. Eleanore was born in Cleveland, Ohio on July 25, 1911 (Ella Mayerhoffer) where she resided for over 80 years. After living in Atlanta for 8 years she came to Amelia Island, Florida where, for the past 15 years, she lived with her son and daughter-in-law. She worked in a bomber plant during the second world war and as a bookkeeper for a family business in Cleveland. She was a wonderful wife/homemaker for her husband, Joseph, for 62 years, and a loving mother to her only child, Joseph. She was a tennis player, a reader, a knitter, an accomplished cook specializing in German food and the consummate friend. During the final week of her life she received over 100 cards and letters of support. Eleanore was a member of the First Baptist Church in Atlanta and, after moving to Amelia, the Amelia Plantation Chapel. In honor of Eleanor’s 107th birthday congressman John Rutherford conducted a small ceremony for her and presented Eleanore with an American flag that had flown over the US capital building and a citation read into the congressional record. Eleanore drove her own golf cart to that ceremony, the same cart she drove to her aquarobics class until a few months before her passing. Eleanore was preceded in death by her mother and father, Teresa and Martin Mayerhoffer; and her sister, Anne Oberacker. Eleanore is survived by her son, Joseph E. Simon, MD; daughter-in-law, Carol Gilfillan, MD; grandchildren and their spouses, Eric Simon (Christen Simon) and Jennifer Simon, LLD (James Shilkett); and her great-grandchild Jonah Shilkett, and her nephew, Martin Oberacker (Margo). A memorial service will be held at the Amelia Plantation Chapel at 11AM on April 6, reception to follow. In lieu of flowers the family requests donations be made in Eleanore’s honor to the Amelia Plantation Chapel.